Your roofing system faces different elements over the years. Over time, it may endure damage. If your roof shows wear and tear or your home has leaks all over, it’s time to schedule a roofing replacement. For top-notch roof replacement services in Chesterfield, MO, and the surrounding areas, you can trust Renovation Team. We are your local roofers who understand that a roof replacement project makes a significant improvement in your home. This is why we only use high-quality materials partnered with superior services to ensure a long-lasting roofing system. Scheduling for timely replacement can ensure you and your family is safe from any weather condition for years to come. A new roof also offers indoor comfort and a leak-free home. Depending on the material and style choice, your new roof can even boost curb appeal and add property value. If you’re considering replacing your roof, then you should only trust professionals to do the job. 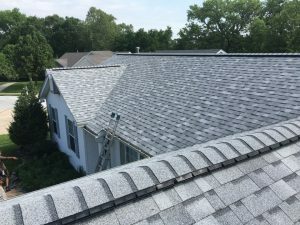 Renovation Team has a proven track record, thus we can assure you that your roof will be replaced in compliance with the highest standards of quality. Aside from roofing, we also specialize in other exterior services such as siding, gutters, windows, and doors. We even offer home remodeling. To find out more about our company, the services we provide, and how we can be instrumental in replacing your roof, call us at (636) 939-1061 today. You can also fill out our Contact Form to request a quote.